Today, we operate one of the largest non-ferrous processing facilities in the region thanks to our loyal customers and consumers. As a family-operated business based in the Pacific Northwest, we are deeply invested in our local community. 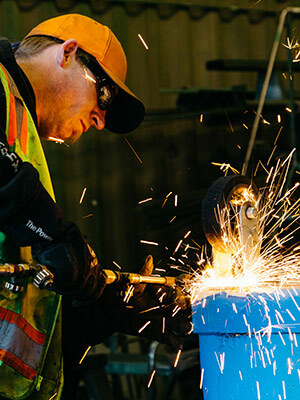 Because our company leadership and employees genuinely care about sustaining our beautiful surroundings, you can trust that we conduct our business safely and in an environmentally responsible way that benefits all who call the Pacific Northwest home. That’s all great, but you understandably want to make sure you are getting great value for your scrap metal, too. Our rich experience, talented employees and strong reputation with companies all over the world make it possible to give our customers the best service and price around. Over the century we have been in business, we have developed a strong network of consumers to which we sell our metals, both domestically and abroad. We are always interested in expanding our network, so if you are interested in buying our metal, please contact Dan Silva.